The week that NASA celebrated the 40th anniversary of the Apollo 11 lunar landing, a multidisciplinary conference on working and living beyond low-earth orbit convened in the colonial city of Savannah, Ga. Whether the 300-some conference attendees considered the symbolism of meeting to plan the first outposts on the moon and Mars in one of the new world&apos;s first settlements is hard to know. They were, nonetheless, dealing with the same issue that bedevils tentative steps beyond the horizon in any age: sustainability. While the weeklong SAE-sponsored International Conference on Environmental Systems served up sessions on everything from how to build a better space suit to doing the lunar laundry, most of these researchers were consumed with that big picture — that is, how best to create and then sustain viable long-term human habitats on the moon, Mars ... and beyond. The researchers, many of them full-time NASA employees, are mostly motivated by science for science&apos;s sake. But they know that ultimately commerce will drive off-world habitation, either for the resources and opportunity such planetary outposts can offer or as way stations to the outer solar system. Commercial exploitation of a barren rock isn&apos;t all that ludicrous. The moon is already beckoning those with an eye for helium 3, a rare isotope of the second element that could be strip-mined from the moon and shuttled back to Earth to fuel low-radiation, clean-burning fusion reactors. Because helium 3 is non-radioactive, its advocates see it as a greener nuclear energy alternative, producing less radioactive waste than conventional uranium reactors. Still, taking advantage of all the moon has to offer will require scientists and entrepreneurs alike to overcome significant technical challenges. The moon is hardly earthlike and offers a lion&apos;s share of logistical challenges beyond just residing more than 200,000 miles away. With a sixth of Earth&apos;s gravity, little or no water and only a fraction of an atmosphere, the moon offers no protection from a continual barrage of lethal cosmic radiation and micro-meteorites. Its powdery surface is made up of a dusty "regolith" devoid of organic nutrients. So, it would hardly seem the kind of place to settle or to try and recreate Earth. "The moon is utterly impractical for terraforming, unless you include large underground cities," said Paul Lowman, a geophysicist at NASA Goddard Spaceflight Center in Maryland. "Low gravity and temperatures will simply not permit establishment of an artificial atmosphere. And with no global magnetic field, galactic cosmic rays will not permit humans to stay on the surface for more than a few days." Thus, future lunar explorers will have to learn to either live above the surface or underground, like ants. The year 2020 remains the official date for NASA&apos;s next manned lunar touchdown. As part of the agency&apos;s new manned-spaceflight Constellation program, this first Altair lander will take only the most tentative of steps, spending but seven days at a yet-to-be-determined landing site at the either the lunar north or south pole. Five years after that, NASA expects to have four-man crews rotating out of a long-duration lunar habitat every six months. The space agency has already awarded one of three contracts to design a minimum-functional lunar habitat to the University of Maryland&apos;s Space Systems Laboratory in College Park. Thus far, the university&apos;s habitat proposals include a two-story "igloo" that would be used as an emergency or expansion shelter for a crew of eight; an inflatable cylindrical "Winnebago," suitable as a habitat for a 28-day mission; and a four-man foldable "pup tent" that would serve as a lunar lifeboat in case of a critical systems failure in a main habitat. Life scientist Daniel Barta says, at first, astronauts will be on the lunar surface between seven to 14 days. And, ideally, NASA would prefer habitats that can be used again. "We&apos;d like systems we could turn off when we leave and come back to again," said Barta, who works at NASA&apos;s Johnson Space Center in Houston. "But providing [long duration] resupply of oxygen, drinking water and food will be difficult and costly. Technologies will not only need to be highly reliable, but able to stay dormant for long periods between missions." One answer may lie in lunar greenhouses. The University of Arizona, along with Sadler Machine Company of Tucson, has designed a bio-regenerative greenhouse prototype. Four of these greenhouses would not only produce half of a four-man lunar crew&apos;s daily 2,000-calorie per person intake, but also generate its daily water and oxygen requirements. NASA estimates 50 square meters of growing area would be needed to continuously support one crew member for as long as the greenhouse operated. Lane Patterson, a University of Arizona biosystems engineering graduate student, says the prototype in Tucson is already growing 46 square meters of vegetables. The University of Arizona team is using similar technology at the National Science Foundation&apos;s South Pole Food Growth chamber in Antarctica. "We&apos;re not ready to go the moon yet, so Antarctica offers a place to practice," explained explained Patterson, who assisted in the prototype’s design. But when eventually operating from the rim of the Shackleton crater (itself named after the Antarctic explorer) near the lunar South Pole, the greenhouse complex would benefit from nearly continuous sunlight -harnessed to provide various light sources for use in the subsurface greenhouses. The self-inflating greenhouses would be delivered in advance of the crew and, again to avoid harmful cosmic rays and solar radiation, automatically bury themselves 3 feet beneath the surface. Then with an initial supply of water, the greenhouses would hydroponically farm crops like sweet potatoes, lettuce, tomatoes and strawberries. By the time the crew arrived three months later, the greenhouses should be well on their way to having a full canopy of green, leafy vegetables. "A robust bio-regenerative life support system — with bright light, great smells, crunchy vegetables and high humidity — is invaluable," said Patterson, who spent two winters in Antarctica operating the food growth chamber. He envisions a lunar greenhouse as an eventual haven for yoga, chess, meditation — maybe even dating. He notes that nothing beats the allure of a pleasant green environment. "We&apos;re looking to recycle more than 90 percent of what we need to live [on the moon]," said Patterson. "To give one person the daily requirement of oxygen through plant photosynthesis, you&apos;ve got to cycle roughly 50 liters of water through your plants. Our chamber produces about 50 liters of water per day through plant transpiration." The system would also recycle crew wastewater, which is composted and condensed into nutrient water for the greenhouse plants. The water that the plants transpire would then be condensed into non-potable "greywater," which would be "polished" further to produce drinkable water. Should water (as ice) be found beneath or near the surface, lunar pioneers may be able to extract it, easing some pressure on those closed-loop systems. The same would go for oxygen and metals, which in theory can be mined from the lunar surface itself. Extracting oxygen and metals would involve heating metal oxides, like the abundant iron titanium oxide known as ilmenite, to allow them to separate into their respective constituent elements. The released oxygen could go to immediate use, while the extracted metals could be used for lunar manufacturing. MIT materials chemist Donald Sadoway, advocates using "molten oxide electrolysis" — passing an electric current between two electrodes immersed in melted lunar regolith — to harvest oxygen. Liquid metal would form at one electrode and oxygen gas at the other. Sadoway awaits NASA funding to scale up a demonstration project. But if lunar building materials don&apos;t turn out to be so plentiful, there is always the option of creating habitats by tunneling deep underground. Such ant-like tunneling could create miles of underground habitat, all sealed with inflatable membranes. Still, lofty intentions can go awry. Savannah&apos;s own history is a reminder of the trials in carving out a new world in the wilderness. The original Georgia colony was intended as a silk-producing, slave-free social experiment; a philanthropic outlet for England&apos;s working poor. But within two years of their arrival in 1733, half of the first 100 colonists had left or died. Savannah&apos;s Wormsloe settlement, originally part of a 500-acre property granted to the colonists by King George, soon found the climate unsuitable to produce silk in commercially viable quantities. Today, what&apos;s left of Wormsloe&apos;s main tabby house lies in ruins on Georgia&apos;s marsh-esconced Isle of Hope. Its adjacent formerly clear-cut fields have reverted into native state of scrub brush and palmetto. While Georgia today is a bustling, populous state, it certainly veered from the trajectory planned by its idealistic founders. 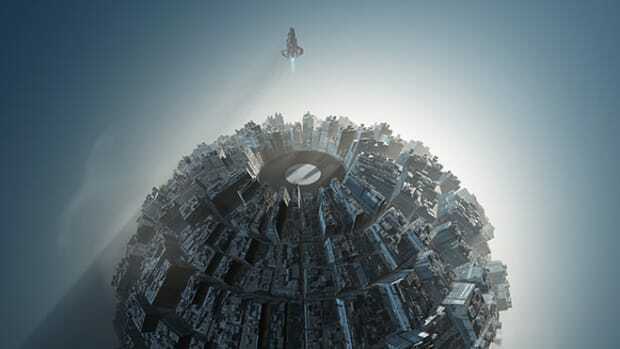 Will the first off-world inhabitants be able to avoid similar pitfalls? Part of the answer lies in long-term planning. NASA is already investing a lot of energy into thinking about long-term life support systems in an integrated, multidisciplinary way. Behavioral psychologist Henry Emurian at the University of Maryland at Baltimore County has created a behavioral systems management approach intended to address a long-duration crew&apos;s overall well being. "It&apos;s unknown what the consequences of a very long-duration mission would be on the willingness of the crew to complete an entire three-year mission to Mars," said Emurian. But he and his colleagues&apos; behavioral systems management technology is a science-based method of structuring the crew&apos;s living space, time and activities to try and ensure that once a mission begins a long stay on the moon or Mars that such a confined micro-society won&apos;t go haywire. This includes managing the crew&apos;s sleep and circadian rhythms; their interactions with other crew members; their access to exercise, reading material, puzzles, communication with the outside world; work, creative pursuits and private time. And even then, there are no guarantees that the crew will avoid mission-jeopardizing interpersonal conflict. But Emurian&apos;s goal is to try and ensure that the crew can successfully adjust to isolation and confinement over long periods. His systems are optimized for a three-year mission to Mars. But the same issues that will plague a Mars mission — such as crew morale, group fragmentation and interpersonal tension — will also exist on the moon. Automation and complex robotics likely will address some of these issues. Lynn Baroff, a behavioral scientist and systems engineer at NASA Ames Research Center in California, says that NASA will not be able to do long-duration space missions without using complex and extensive automated systems to manage life support; systems and the engineering management of the habitats themselves. But Baroff warns that American culture is inherently distrustful of all things automated, noting that our folklore is rife with instances of robotics gone haywire. Look no further than popular culture. Think of HAL, the master computer run amok in 2001: A Space Odyssey, or the more recent apocalyptic vision of the Terminator films. To counter such concerns, Baroff notes that NASA makes sure that every system is human-rated. In other words, the astronauts are still capable of overriding automated systems and escaping. But robots will be essential for long-duration stays beyond the International Space Station, in low-earth orbit. Space-faring robots offer some key advantages over humans, and the manned vs. unmanned schools of space exploration has provided a lively debate for scientists and policymakers. Robots aren&apos;t oxygen hogs; go easy on the vegetables and perhaps just as importantly free up a small crew&apos;s time to deal with its primary mission objectives. However, current technology has yet to produce computer systems capable of developing humanlike neural complexity. Baroff says that when such complex artificial intelligences are implemented in a lunar or Mars setting, the astronauts or researchers will inherently need to trust them. For example, Baroff says an astronaut walking across the lunar surface might be accompanied by a NASA-designed rolling, 20-foot-tall titanium-and-steel robot. 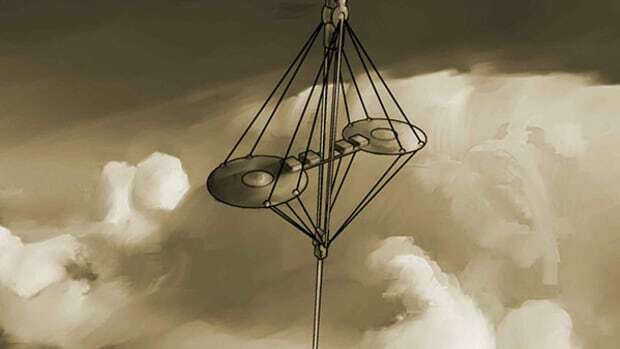 That way, if the crew member falls into a crater and is knocked unconscious, the robot would recognize the situation and use its giant manipulators to carry the crew member back to the safety of the habitat. To make that kind of complexity happen, automated systems will need excellent self-diagnostics. And in certain emergencies, even with that kind of technology, there are limits to how much a computer monitoring system can help. Depressurization, fire and toxic spills are all life threatening and thus would require an instant response, says physical scientist Harry Jones at NASA Ames Research Center in California. On the moon, crews could leave or be resupplied in a few days, but that&apos;s not an option on a three-year-long Mars mission. "To get to Mars, we&apos;re going to have to practice on the moon," said planetary scientist Wendell Mendell at NASA&apos;s Johnson Space Center in Houston. Mendell advocates putting a six-man crew on a year-long sojourn on the lunar far side. Such a far-side mission would offer Mars-like communication delays, says Mendell; it is a crucible for a successful manned Mars mission. Baroff doesn&apos;t believe a Mars manned mission is possible with less than a crew of 18. So, to avoid the high cost of overcoming Earth&apos;s gravity, he says that any planned Mars manned transit vehicle would best be built on the lunar surface, then launched from lunar orbit. Couple that with the idea of using the moon as a proving ground for manned missions to the outer solar system, and it&apos;s clear that the moon could continue to serve humanity for decades to come. Even so, it&apos;s hard not to wonder whether the early lunar outposts of the 21st century will eventually become archeological curiosities like Savannah&apos;s Wormsloe. "NASA is in the position of sending out Lewis and Clark," said Baroff. "They aren&apos;t going to colonize. Others will put up the trading posts." And in the interim, the best we can hope for is that the moon will become an off-world Antarctica. That is, a far-flung research station that will remain as exhilarating as it is challenging. Should We Colonize the Moon? And How Much Would It Cost? Sorry, Russia. Establishing a moon colony would require no less than tens of billions of dollars and the cooperation of numerous countries.